Pull out this just-for-two recipe when you're in a hurry. You'll get a fabulous meal ready in just 20 minutes! 1. Heat the oil in a large non-stick frying pan and cook the onion and pepper for 3 to 4 minutes, over medium-high heat. Stir in the beef and continue to cook for 3 to 4 minutes. 2. Mix together the taco seasoning, lime juice, chipotle paste and honey in a small bowl then add to the beef, and vegetable mixture. Cook for a further 2 minutes then remove from the heat. 3. 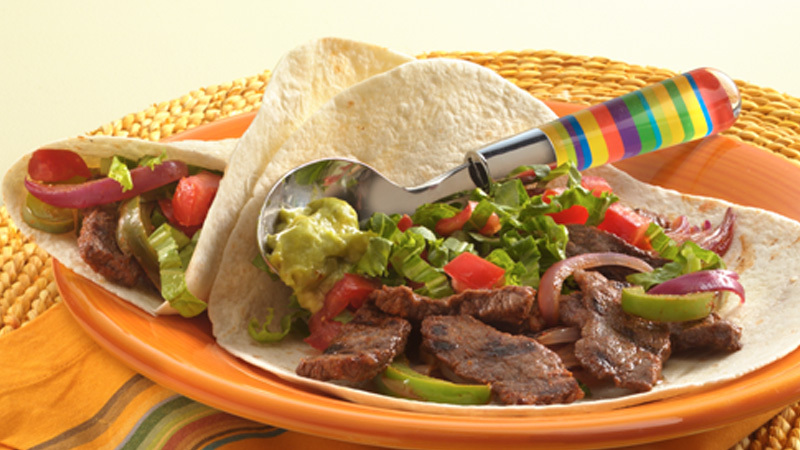 Spoon the beef and vegetables evenly down the center of each tortilla. Top with guacamole, soured cream, shredded lettuce and/or chopped tomatoes. 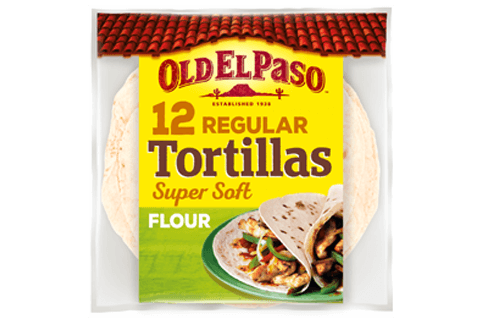 Roll up each tortilla around filling. This can also be cooked on the grill plate of a bbq. Toss all the vegetables and steak into the taco mixture before placing onto the grill plate. Cook for 5 minutes with the lid down, or until the beef and veg are done to your liking.